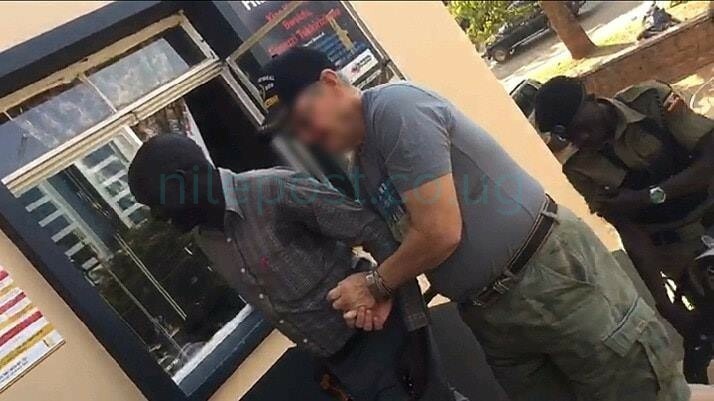 Police in Kampala have arrested Jimmy L.Taylor, an American citizen who was caught on camera mistreating a Ugandan employee at Grand Imperial Hotel. The video of Taylor slapping, punching, chasing around the unidentified employee of the hotel on top of breaking the hotel glasses. When fellow employees and security intervened, the video showed the US citizen insisting on punching the unidentified man before saying nasty words about Uganda and its citizens. “This man has disgraced Jesus. I am not going to tolerate him. Jesus is not going to lerate him,” said Taylor as he continued tormenting the Ugandan. However, the Nile Post has learnt that police has after watching the viral video swung into action arresting Taylor and detaining him. “Footage from security television cameras installed showed a foreigner, identified later as Mr Jimmy .L.Taylor punching and humiliating a hotel employee,” said a statement from Kampala Metropolitan Police. According to police, during interrogation, the US citizen who claims to be a former US Marine and a missionary confessed to having attacked the victim. The suspect is currently detained at Central Police Station in Kampala on charges of assault and malicious damage as investigations continue .